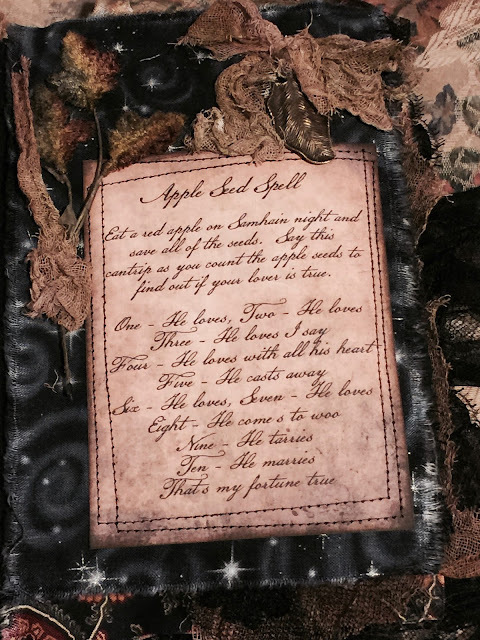 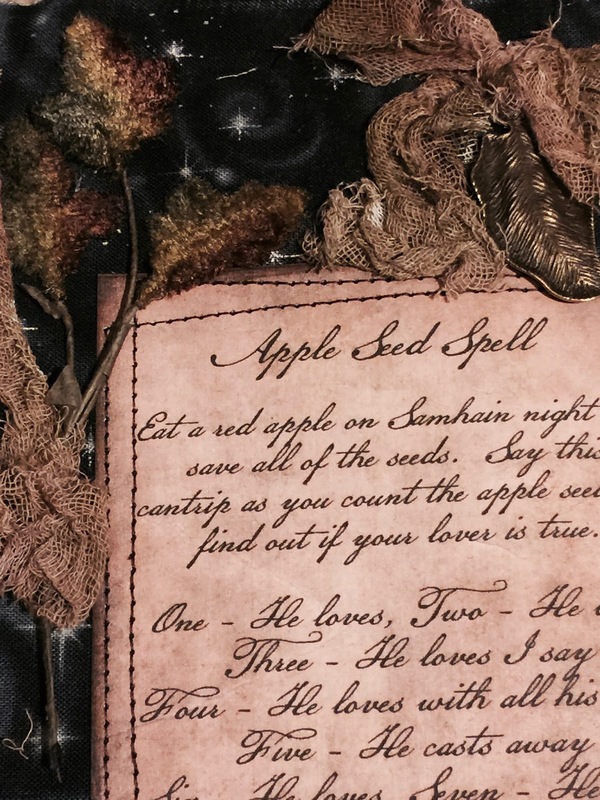 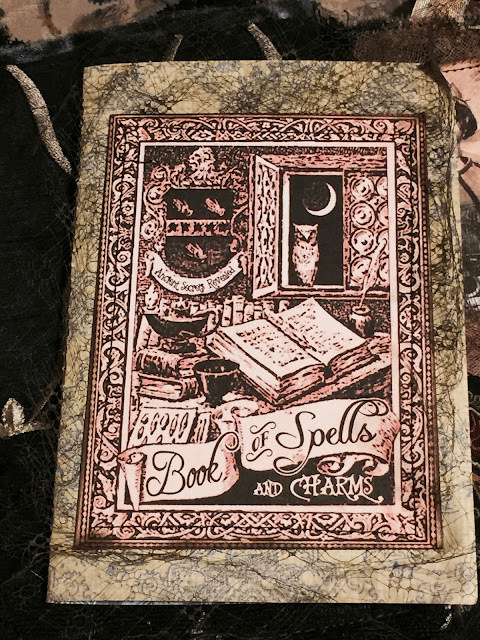 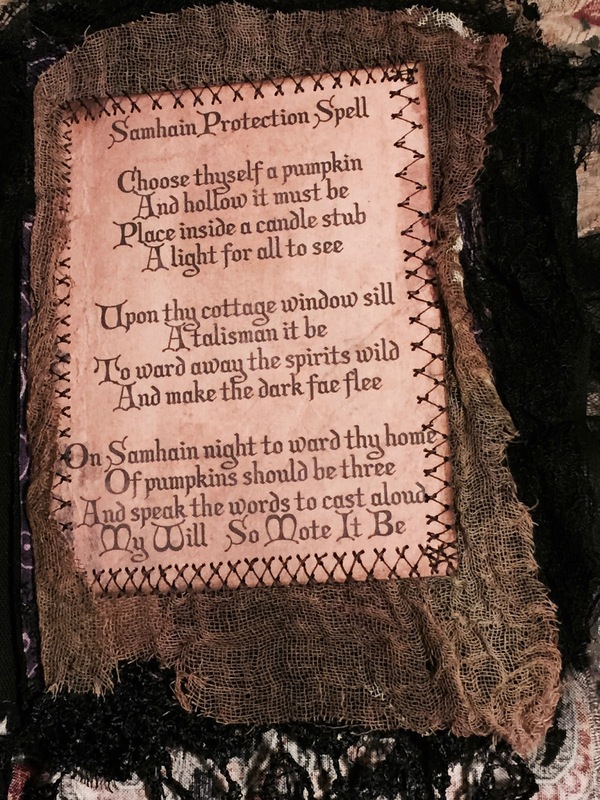 Since my first 'Book of Spells' sold already, I thought I'd do another one.... 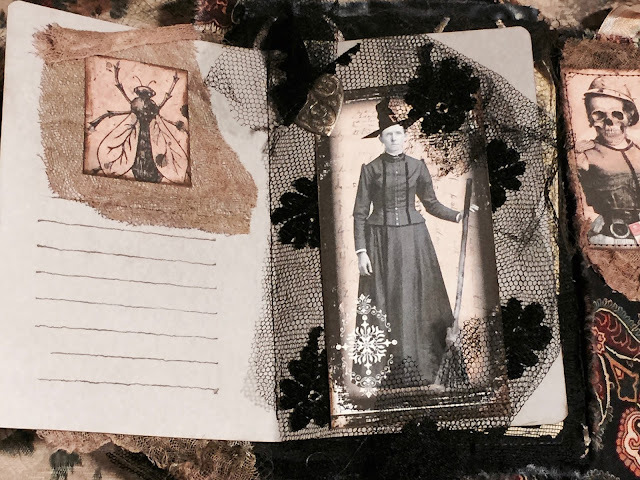 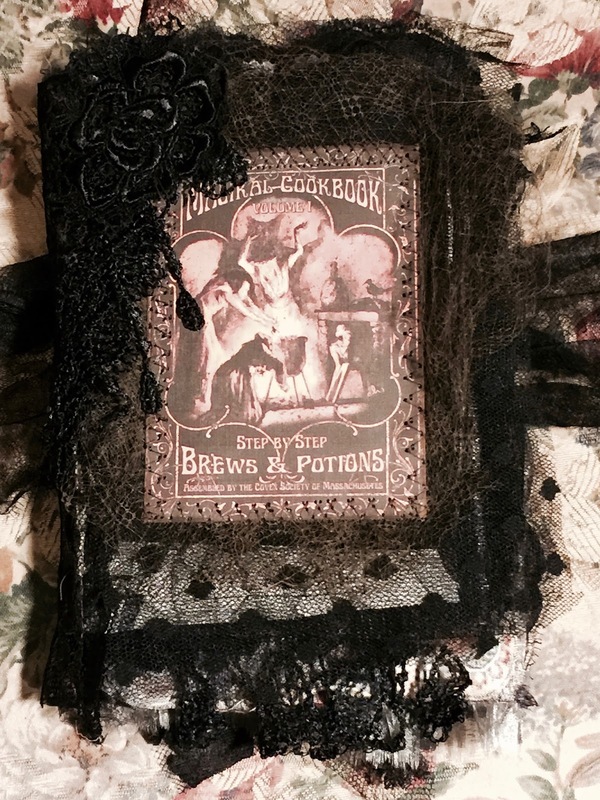 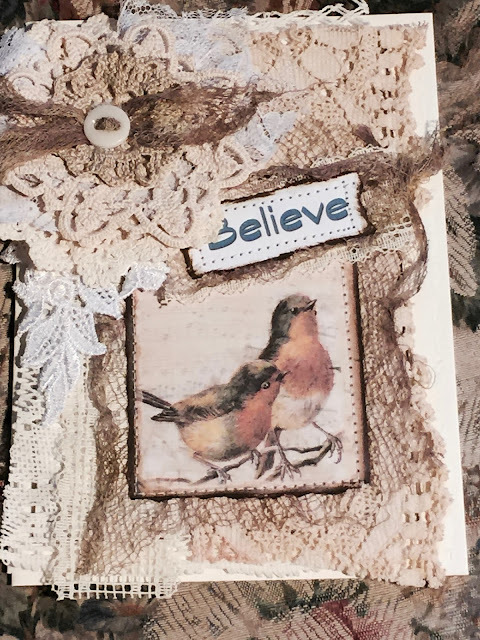 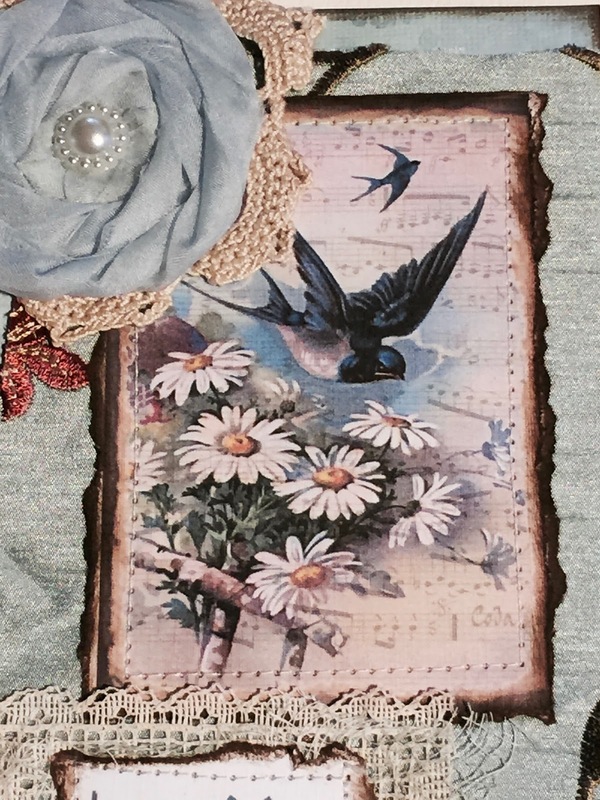 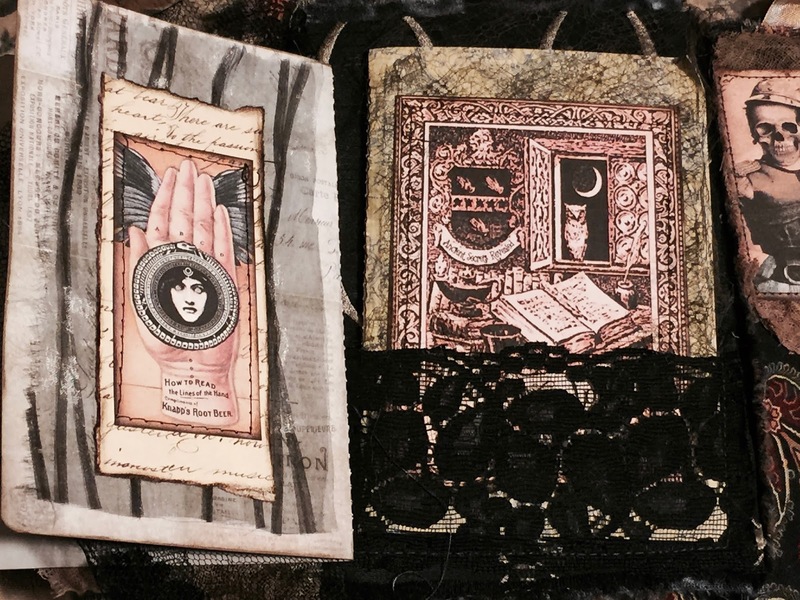 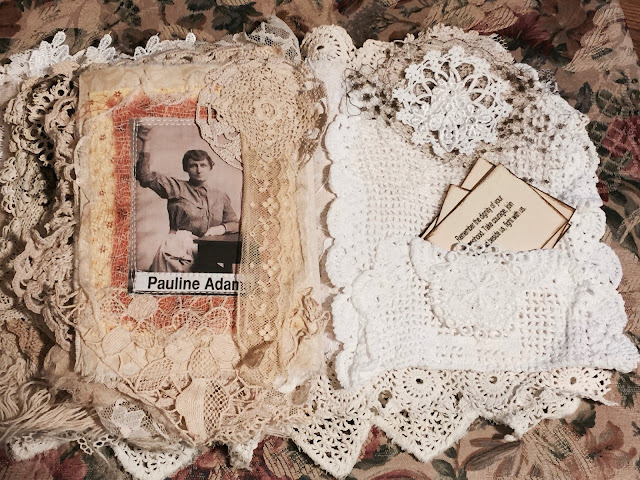 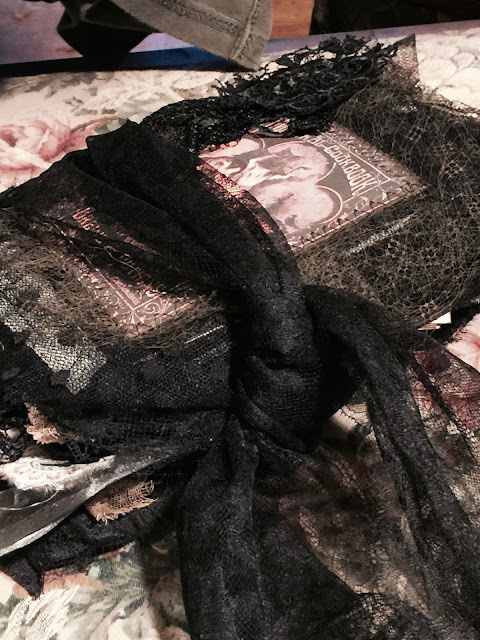 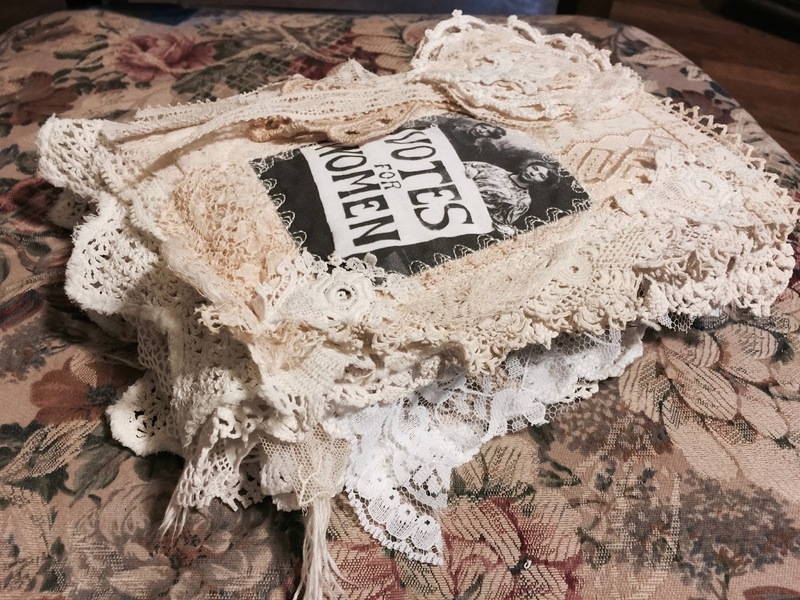 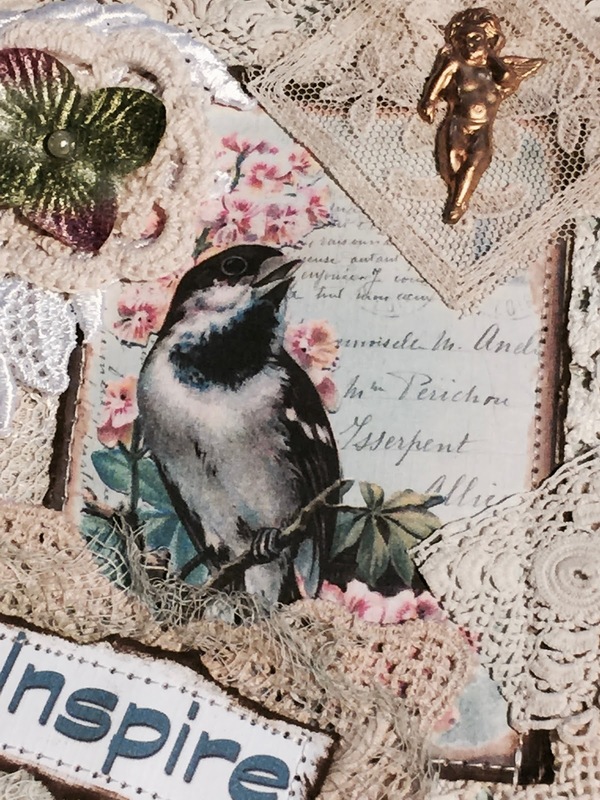 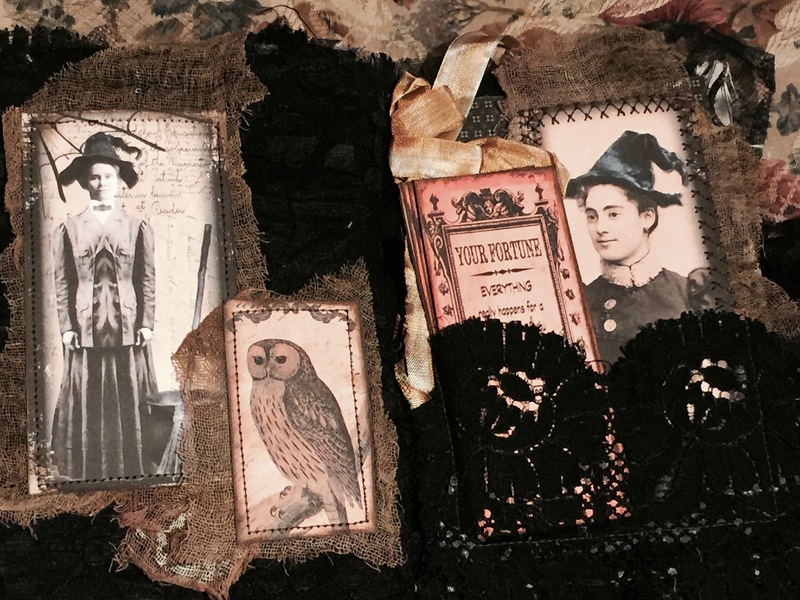 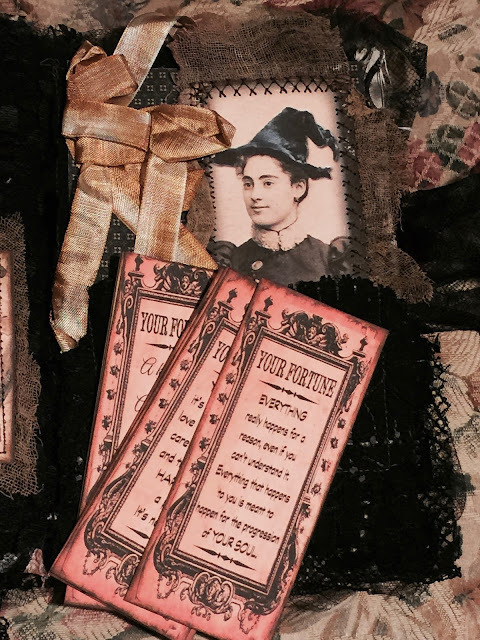 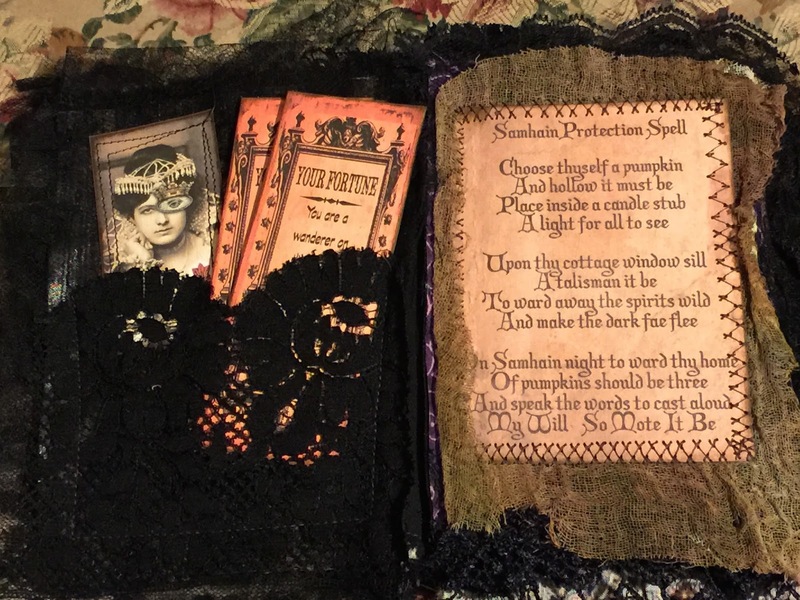 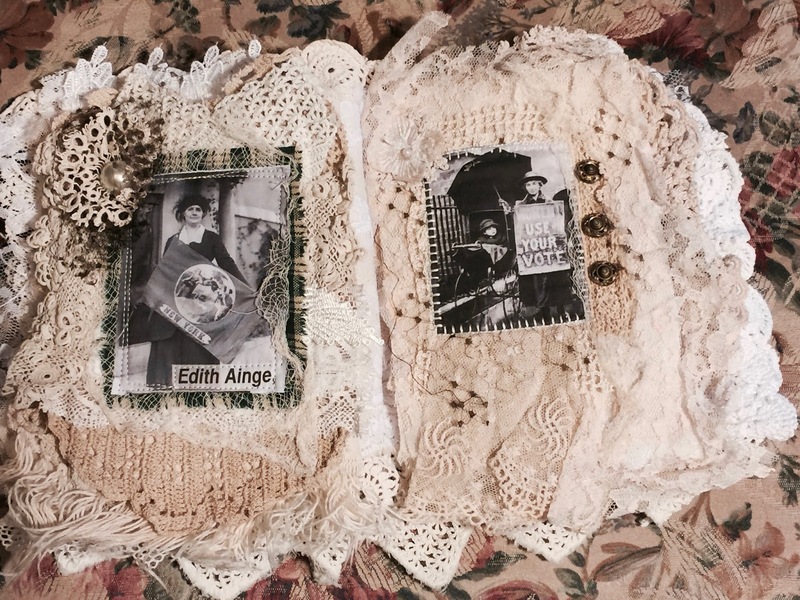 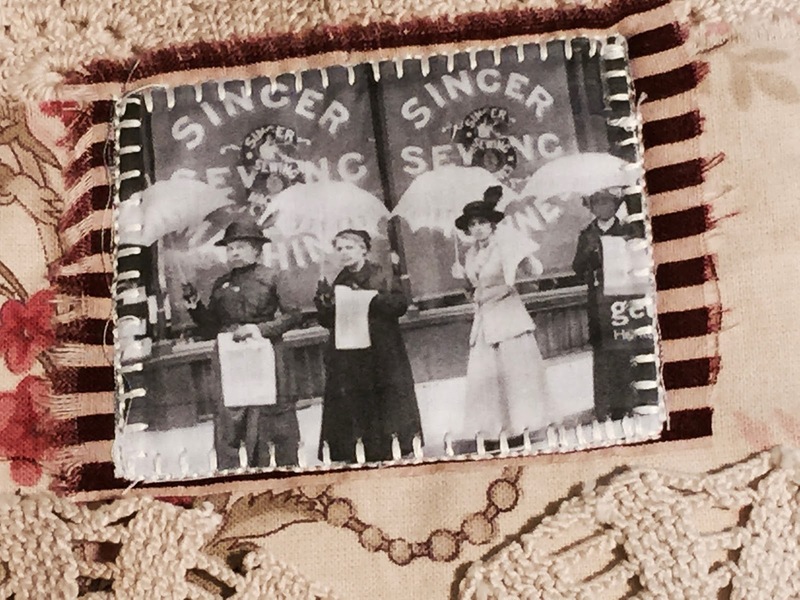 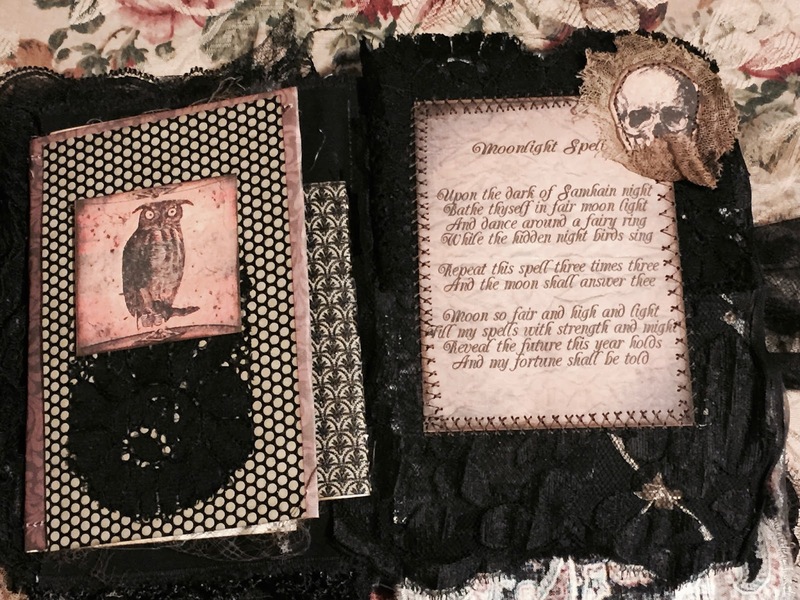 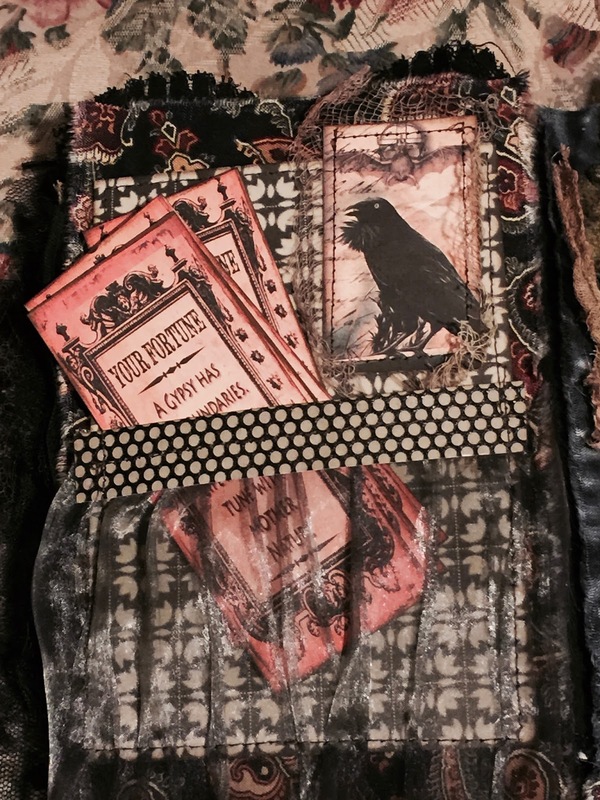 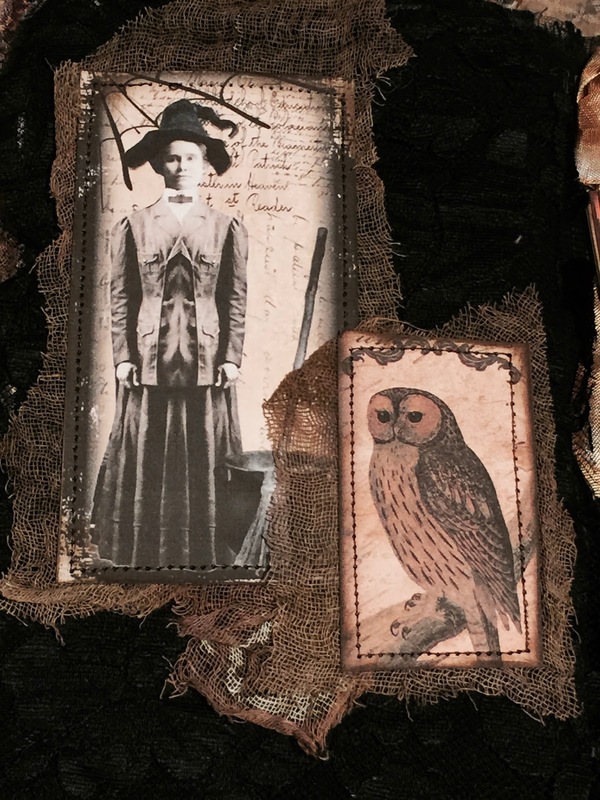 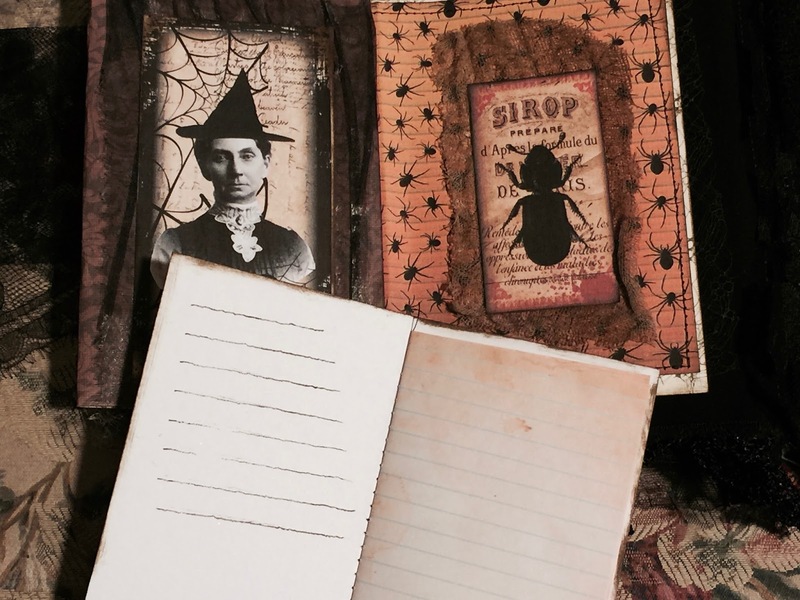 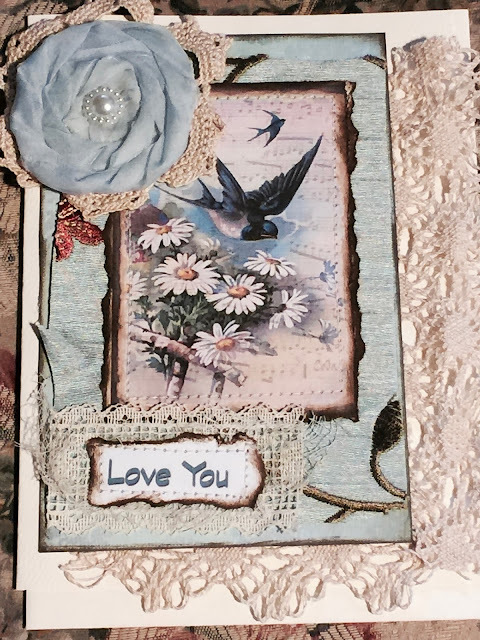 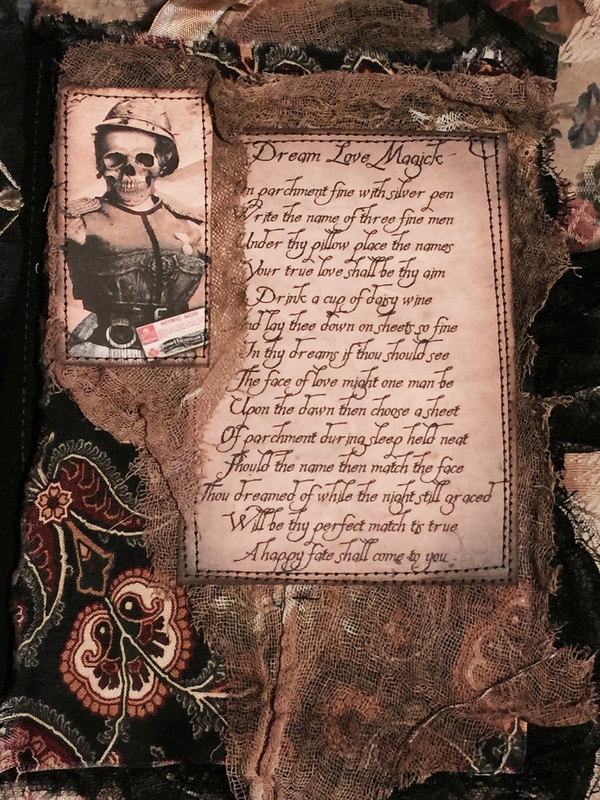 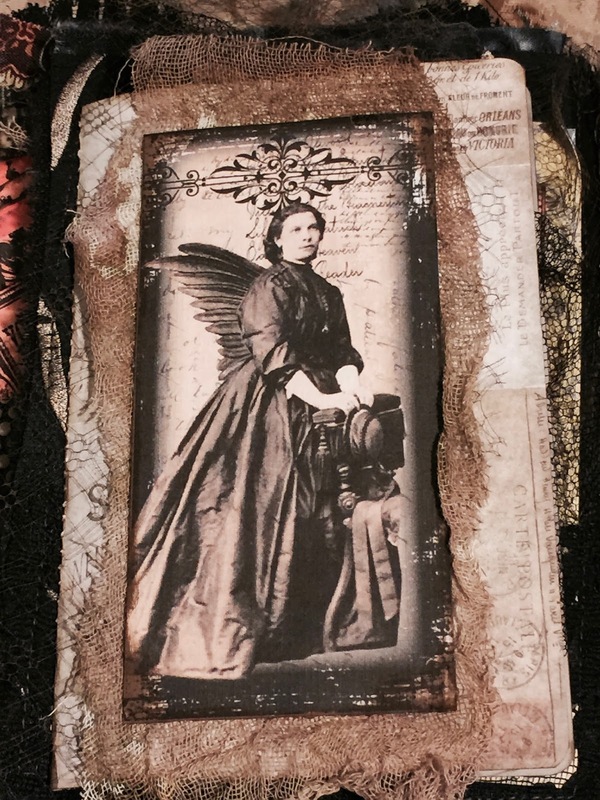 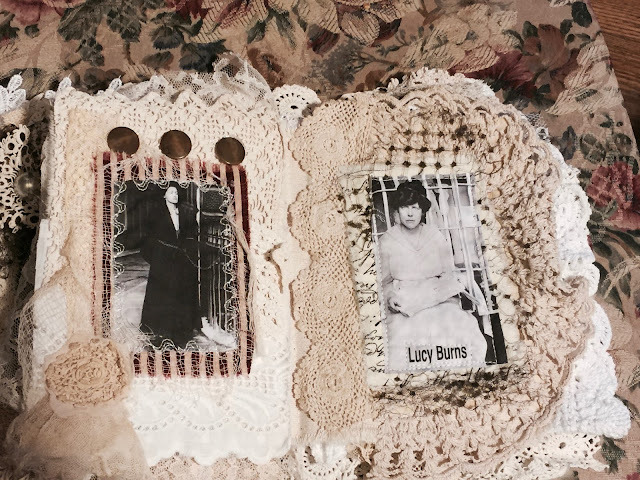 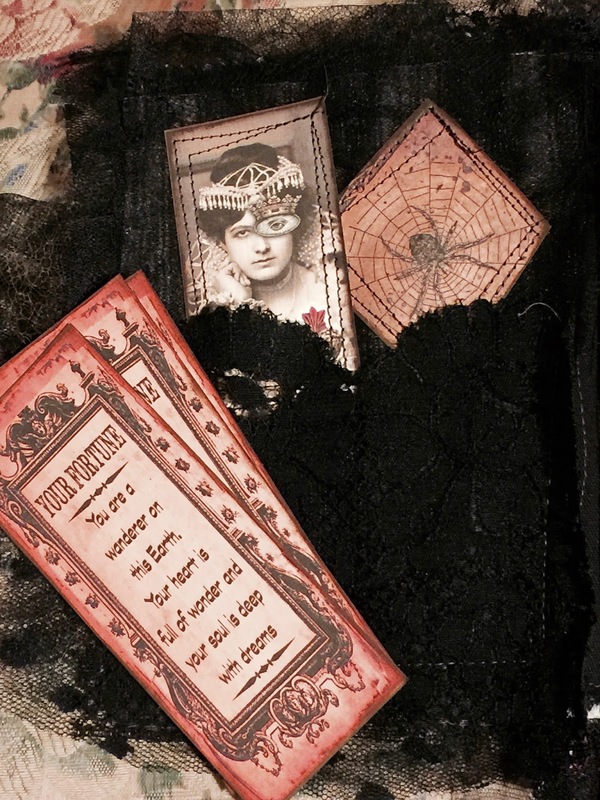 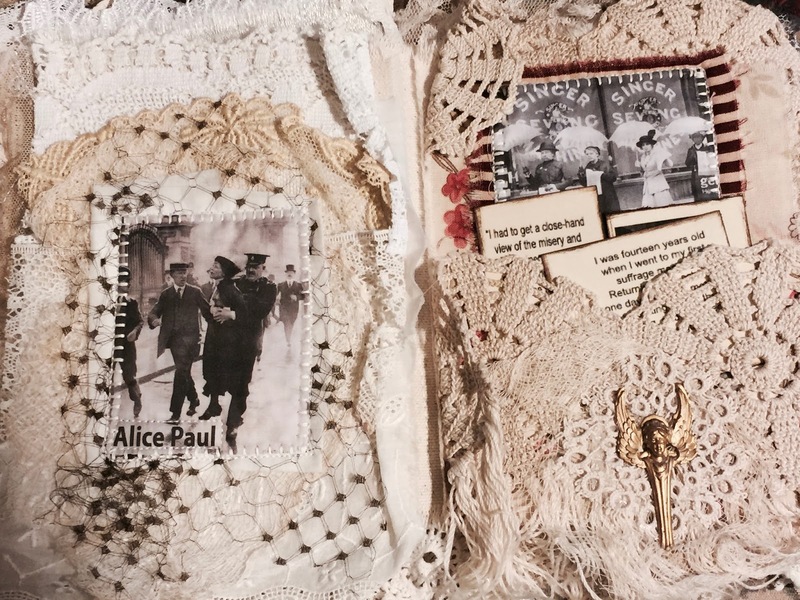 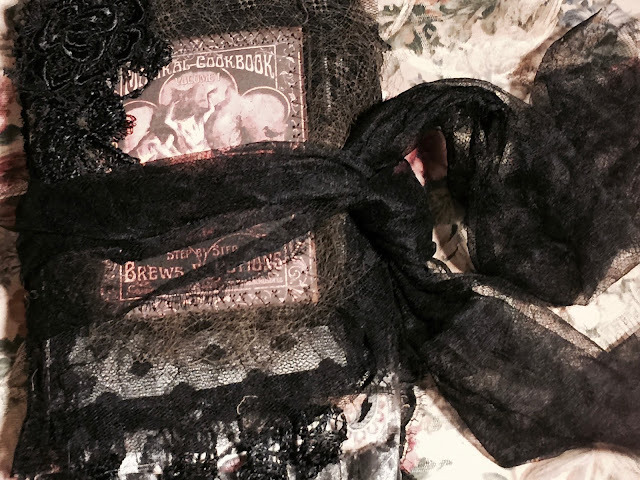 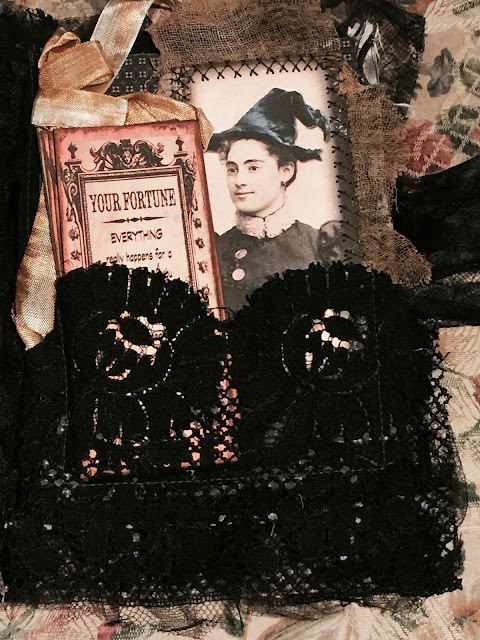 Same images, with more 'Fortune Cards' (with journaling tag on backs), and lots and lots of spooky laces and fabrics! 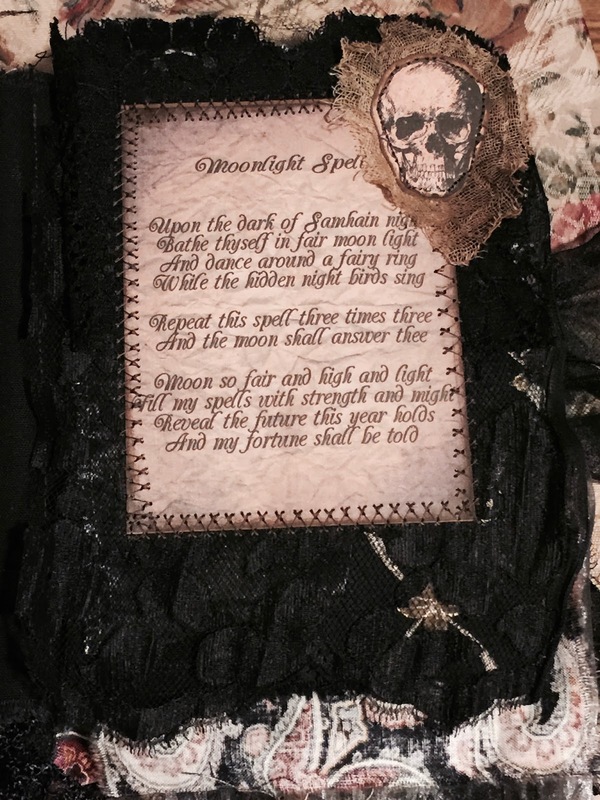 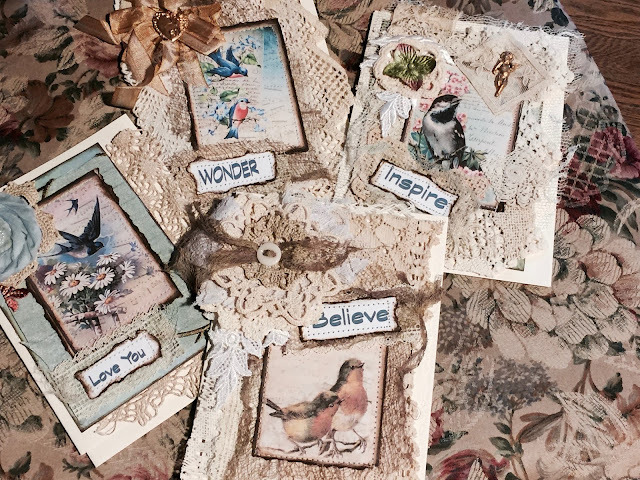 Included are two mini journaling books, and twelve Fortune tags with journal spots on back. 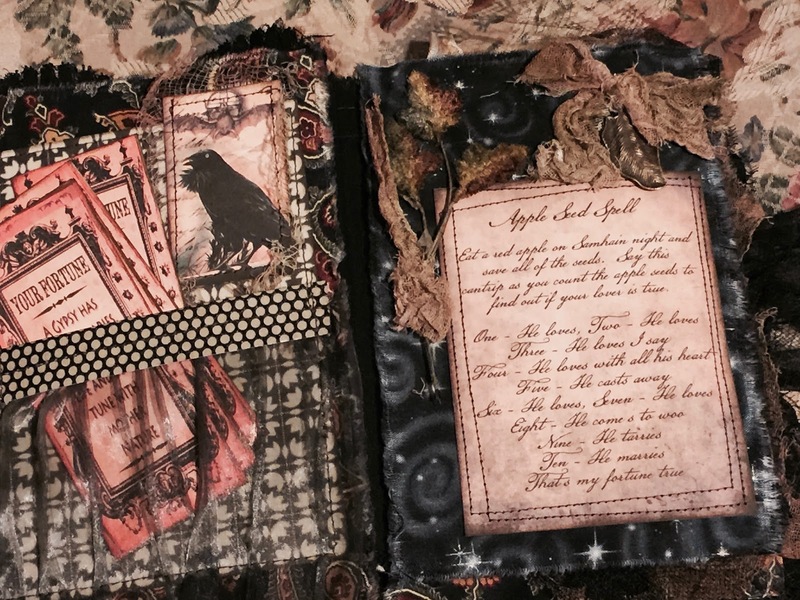 Several pages flip out to reveal...well, you'll see. ON SALE IN MY ETSY SHOP. 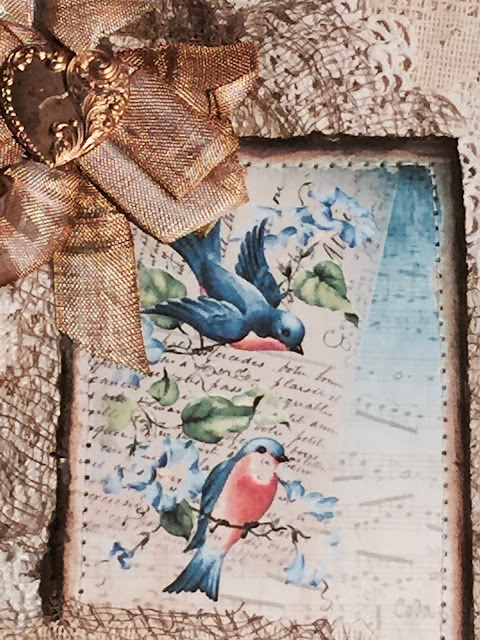 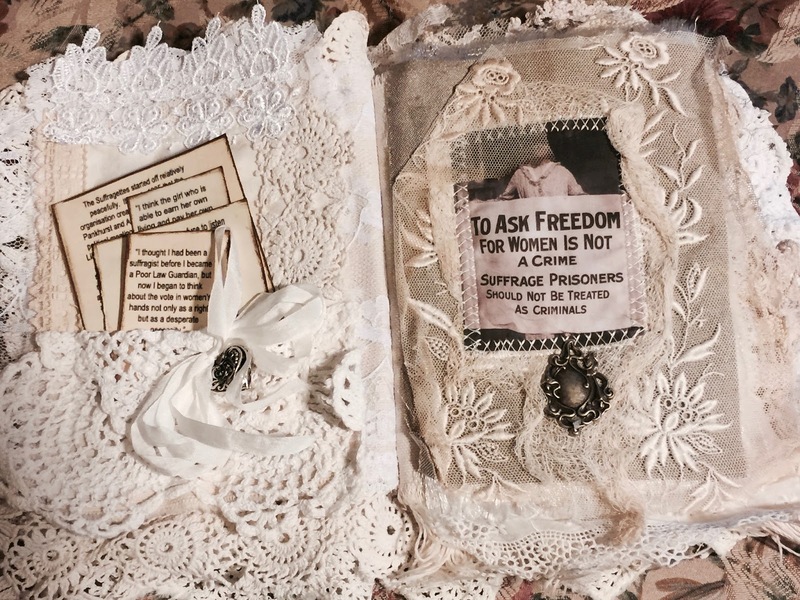 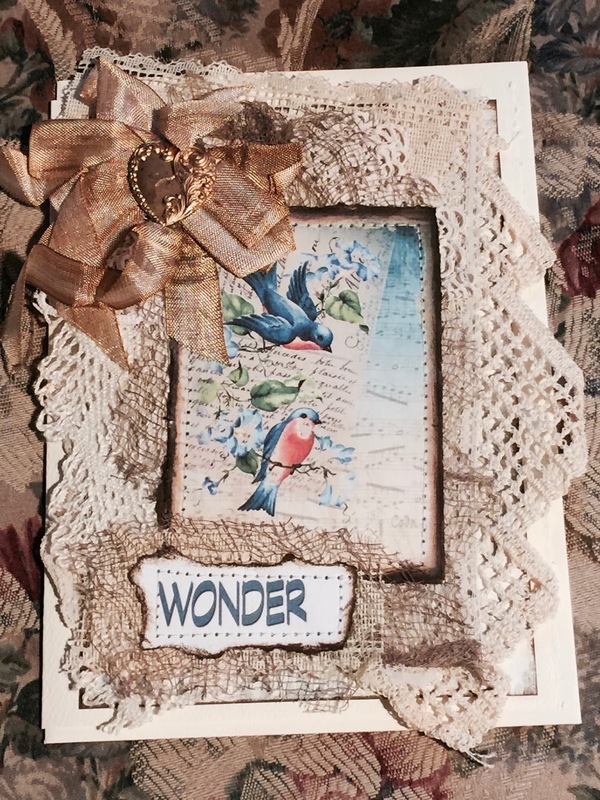 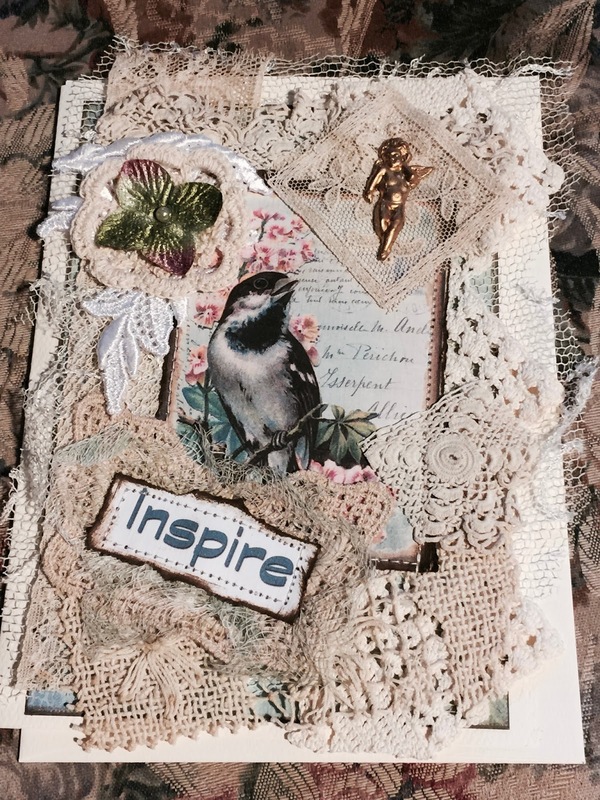 Smaller journaling book, pictured above and inside below. 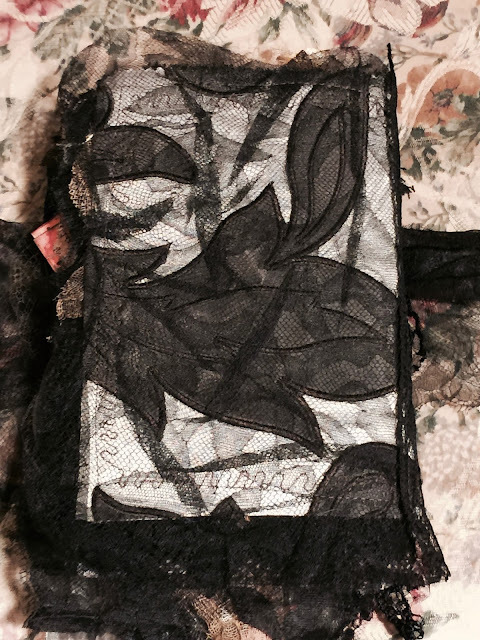 This is a very old, old, old, velvet sprig... just felt right going in here. 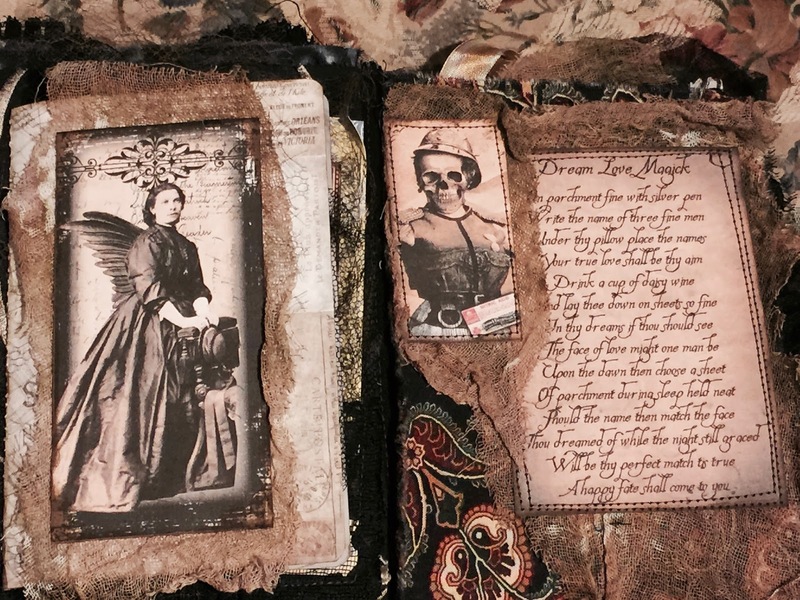 Another flip out page on the left. 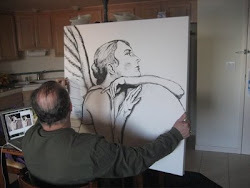 But wait!! the page flips open once again to reveal an interior pocket holding the second, larger journaling book. It's removable (they both are) for ease in writing your thoughts. 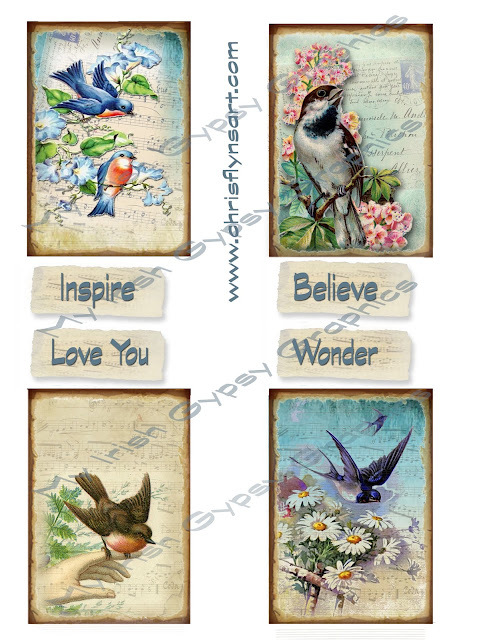 So, here is the digital page I'm going to list on Etsy. As you can see, I played around with the images a bit more, especially the words. the years. 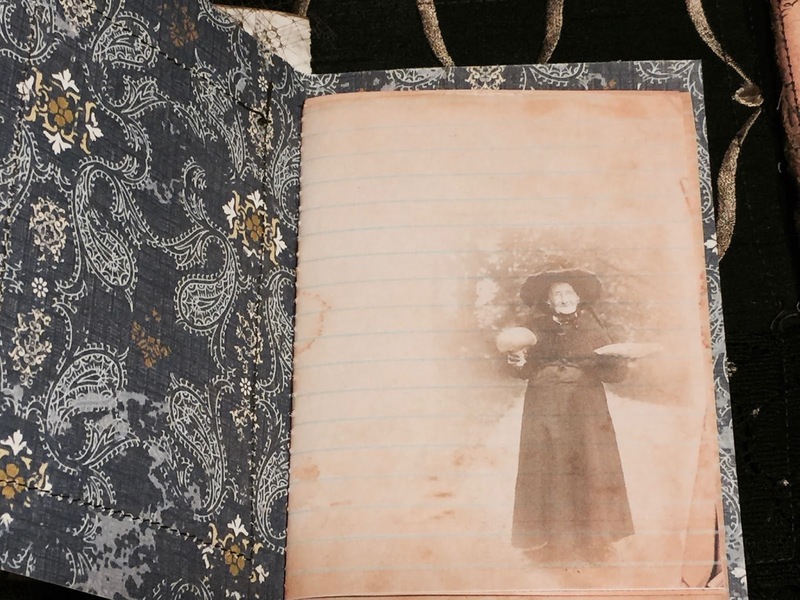 Always moved by their stories and pictures. 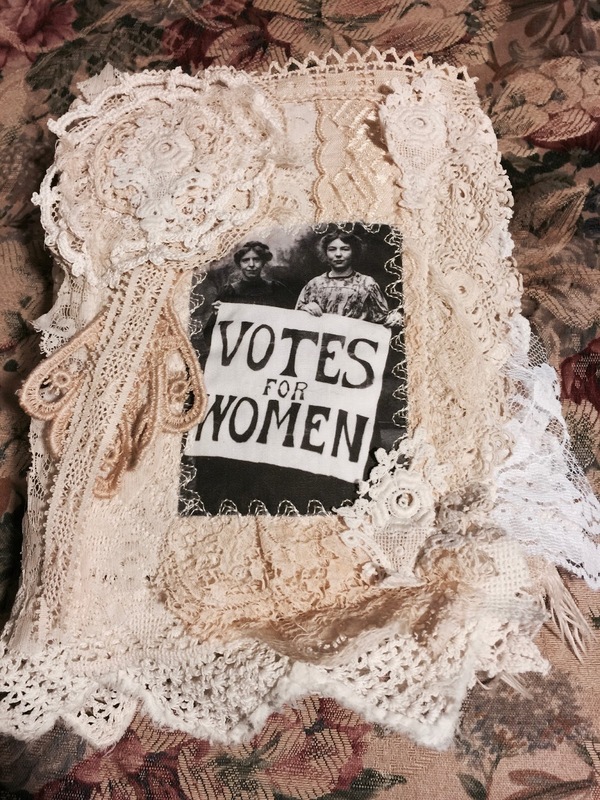 information about these amazing women! 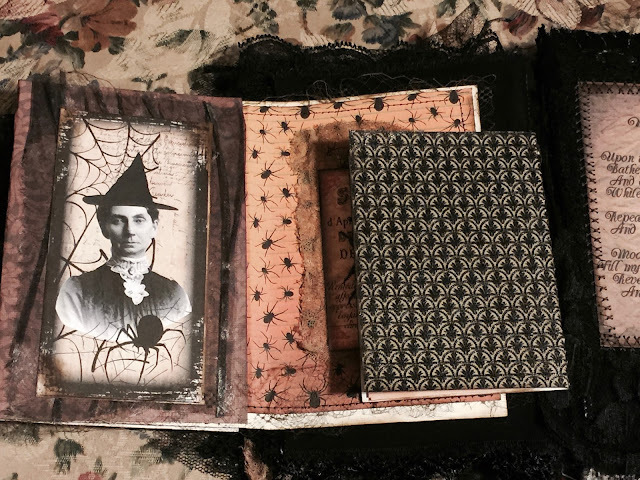 many from the early 1900's. 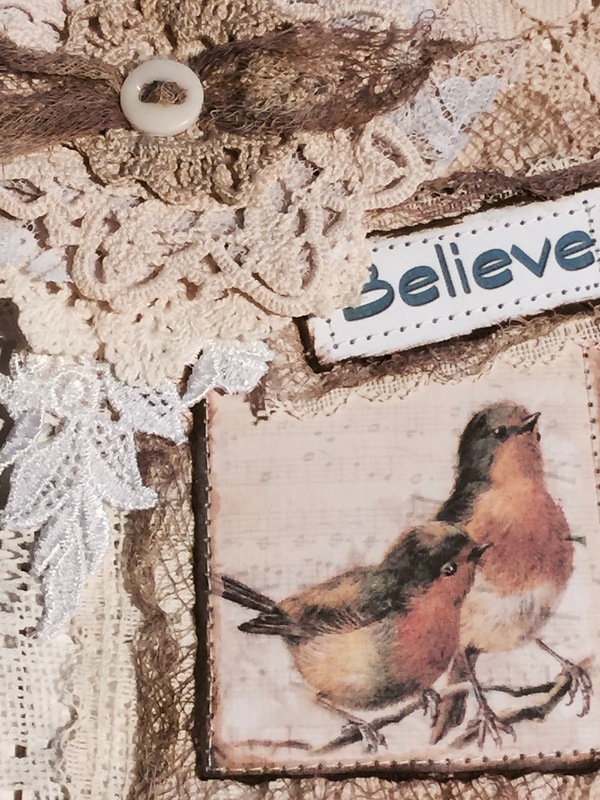 Sweet blessings to you. Thanks for looking. ON SALE IN MY ETSY SHOP, HERE.